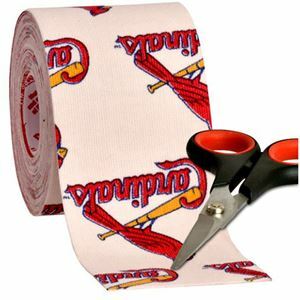 RockTape with St. Louis Cardinals colors and logo? Yes, please! RockTape helps promote bloodflow and reduce swelling in the applied area for less fatigue, pain and discomfort. RockTape is the preferred tape of athletes around the world due to its effectiveness and water resistance, allowing it to be worn for up to 5 days. Each roll measures 2" x 16.4' for multiple uses and applications.